In some good news for Delhiites, four major infrastructure projects, some of them pending for more than a decade, are scheduled to be inaugurated in October. 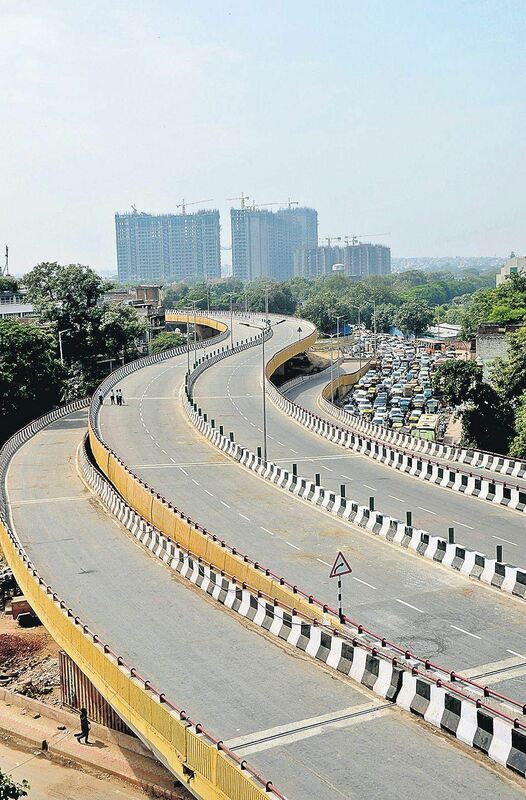 NEW DELHI: In some good news for Delhiites, four major infrastructure projects, some of them pending for more than a decade, are scheduled to be inaugurated in October. 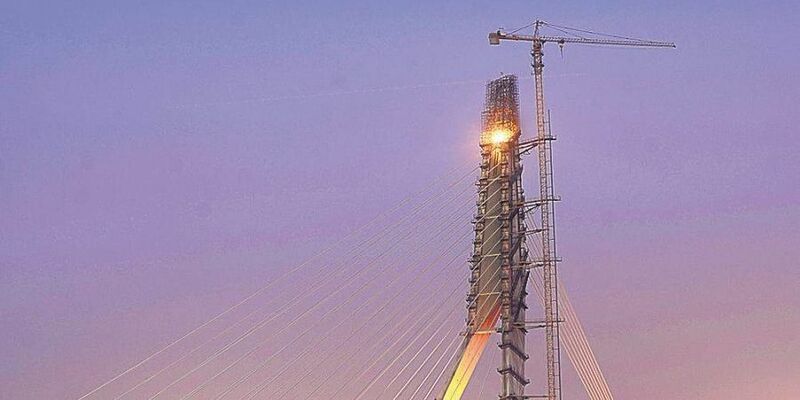 Construction and civic agencies involved in these projects — the Signature Bridge in Wazirabad (Tourism dept), Rani Jhansi Flyover (North civic body and the Central Road Research Institute), the ITO Skywalk (PWD) and the Union urban development ministry), and a flyover adjacent to the Noida Link Road (PWD) — are hopeful of their inauguration this month. These projects will not only reduce commuting time in the National Capital Region (NCR), but also help in reducing traffic congestion on Delhi’s roads. Of these four projects, the Signature Bridge — touted to be India’s first asymmetrical bridge — is the oldest. Proposed in 2004, work began three years later and the project missed its 2010 Commonwealth Games deadline. The 657m-long bridge was planned to reduce the load on the Wazirabad bridge on the Yamuna. Once completed, the bridge will reduce travel time between north and northeast Delhi by improving traffic movement on the Ring Road. From the initial budget of `400 crore, multiple deadline misses have escalated the cost more than three times to Rs 1,518 crore. In September, Delhi Deputy Chief Minister Manish Sisodia visited the construction site to check progress of work. The network of elevated bridges, spanning more than 500 m, will facilitate pedestrian movement on Mathura Road, Tilak Marg, Sikandra Road, and Bahadur Shah Zafar Marg, converging at central Delhi’s ITO junction. This junction is probably the capital’s busiest and the most congested. According to estimates of the Public Works Department (PWD), more than 30,000 people will benefit everyday from this skywalk fitted with CCTV cameras for security of pedestrians who can use it to reach Pragati Maidan and ITO Metro stations. A lack of coordination among agencies has led to this grade separator earn the dubious moniker of ‘flyover of deadlines’. Construction work began in 2008. The six-lane, 1.8 km grade separator has missed six deadlines. Matters related to land acquisition and litigation have only led to its delay further. In the last two years, Lt Governor Anil Baijal visited the flyover five times to take stock of the progress of the work. The last deadline was August 15. The North civic body is hopeful of completing the work in October. The Central Road Research Institute (CRRI) was involved in carrying out a stability test. The project was conceptualised 18 years ago for the purpose of decongesting the densely populated area between Pusha Road and ISBT Kashmiri Gate. This flyover project, which was conceptualised in 2010 to ease the traffic burden of six-lane UP Link road, will soon be ready. The project is supposed to bring in better connectivity between NCR satellite town Noida and Laxmi Nagar in Delhi. The 700m-long carriageway is being executed by the Public Works Department. Once complete, the flyover will ensure smooth traffic at Mayur Vihar Phase-I intersection, which has become a traffic bottleneck on UP Link Road, resulting in heavy traffic snarls.